First I wasn't into the new training gear that the USMNT is wearing at the World Cup camp. Now come leaks of Inter Milan's shirts for 2010/11. I don't know which is worse, the serpent on the away white shirt or the pixelated stripes on the blue & black home shirt? Nike certainly failed when they came up with these designs. - SBI.net's early take on Day 2 - It's raining. - Ives also posted his first impressions at Fox Sports.com yesterday. - Jozy Altidore did a Q&A With SI.com's Jen Chang. - Ben Reiter at SI.com thinks that Jozy's potential is HUUUUUUGE. Sorry, but I don't want potential, I want goals! - Jozy told Beckham that on June 12th the scoreline with be US 3 England 0. - Here is the media blitz from yesterday. - The Original Winger has a bunch of videos from Day One. - Bob Bradley talked about Charlie Davies yesterday. - Pitch Invasion takes a look at the State of the Soccer Nation including a Soccernomics inspired look at the occupations of the fathers of USMNT players. - One Goal, Road to South Africa Part 4 is up. 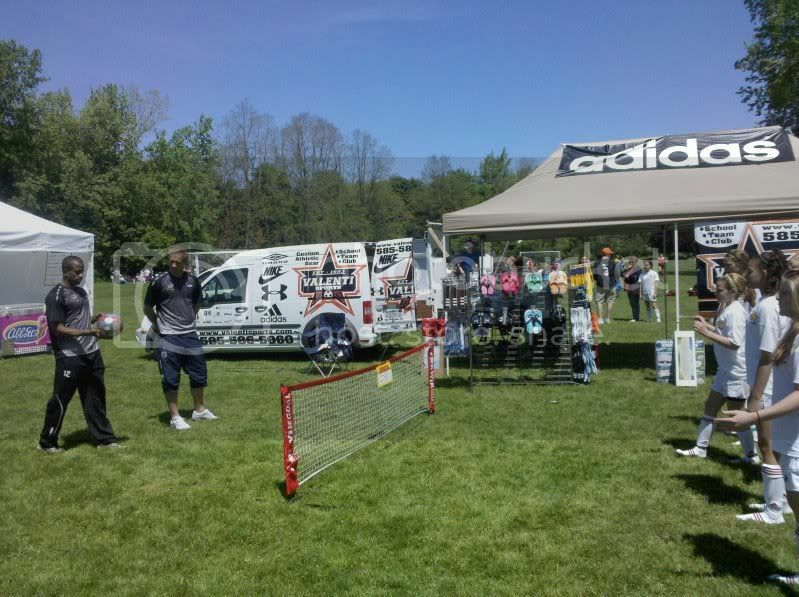 - Troy Roberts & Nano Short were out at the Irondequoit Soccer Tournament over the weekend. - PK takers at the World Cup won't be able to feint. I wonder how many guys that rule will mess with? - Just what we need - MORE REFS! - West Ham United has a 10 point plan for the future of the club. It would be interesting if more teams did this. - MLS needs to convince the NY Mets that MLS is a better investment than the NHL if they are going to get a 2nd team in NY. - Thierry Henry is trying to downplay the NY Red Bull rumors a bit. But, it doesn't seem that too many people are buying it.